Treatment for PCOS or PCOS Treatment ,Now before we get to talking about PCOS / PCOD and the fitness aspect of it if you're a girl who's suffering from this condition or if you think you're suffering from this condition the first thing you've got to know is that there's no well-defined cause for this condition nobody knows why this really happens this is a hormonal issue and it's completely normal one in five girls has this issue and there's nothing wrong with you but your job now is to educate yourself about this condition and educate yourself about the solution that's what you've got to do so let's get into the science of PCOS first now wikipedia defines PCOS or polycystic ovarian syndrome as a set of symptoms that take place due to elevated androgens or an elevated level of male hormones in a female body. So it's something going wrong with your hormones if you're a female now here's what happens under normal circumstances this is how your body looks now every woman's got ovaries and those ovaries produce eggs every month now any internal function that happens inside your body happens because of a change in the hormonal levels so they actually induce the formation of an egg here's what happens there's a gland called a pituitary gland in your brain so the pituitary gland releases a hormone called the luteinizing hormone or n.h into your bloodstream so what happens is every month there's a surge in LH levels there's a high amount of LH suddenly released and that high amount of LH causes your ovaries to release one egg so that egg will get release and then we'll go and sit in something called your fallopian tubes which are a part of the female reproductive system that's not important for you to know now what happens is that if a sperm comes and fertilizes that egg that egg develops into a fetus with the help of this book but if the egg is left unfertilized will be excreted by the body in the form of periods along with the lining of the uterus that's what happens in normal circumstances but with someone suffering from PCOS your hormones are all over the place here's what happens now if a woman's suffering from PCOS the levels of NH in her bloodstream are constantly high so there's no chance for a spike in the LH levels and because there is no spike no egg is released from the ovaries now these unusually high levels of LH are sometimes accompanied by high levels of insulin and this is where your hormonal system is completely out of place and because your hormones are all over the place this is also accompanied by the release of androgens or male hormones inside a female body and this is what gives rise to all the symptoms of PCOS now PCOS stands for polycystic ovarian syndrome. poly means multiple cysts are these little bags of fluid that form in your ovaries as a result of this whole hormonal imbalance and ovarian syndrome is something that happens inside your ovaries the PCOS has a lot of symptoms which are primarily caused due to this hormonal imbalance. poor lifestyle, lack of exercise and a lack of a good diet. 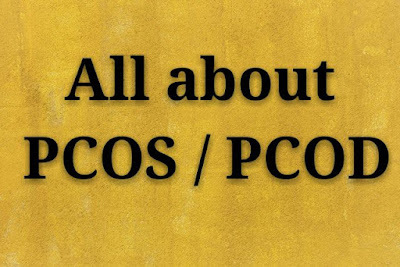 Causes of PCOS and Solutions. hormonal imbalances and wrong happenings inside your body that's what you've got to fix as a woman. One thing you've got to know is that you've got to exert yourself so whether you're choosing yoga or zumba or dance or weight training which is your ultimate form of exercise as a human being it's up to you the only thing you've got to make sure is that you exert yourself that's all.